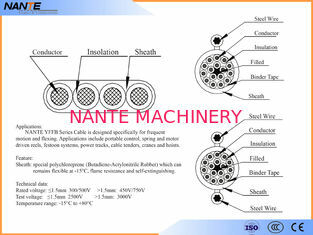 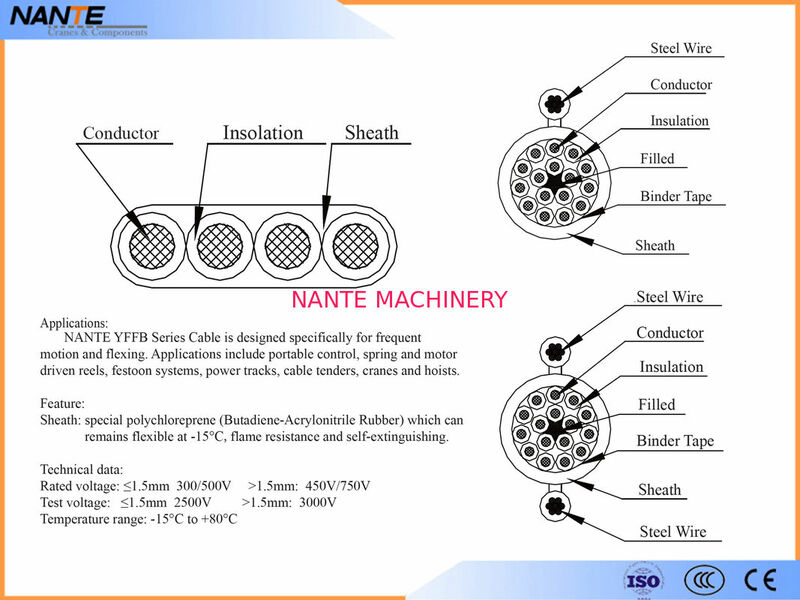 NANTE RVV Series Pendent Cable is designed specifically for frequent motion and flexing, with steel wire support for aerial or vertical use of festoon system and pendent control. 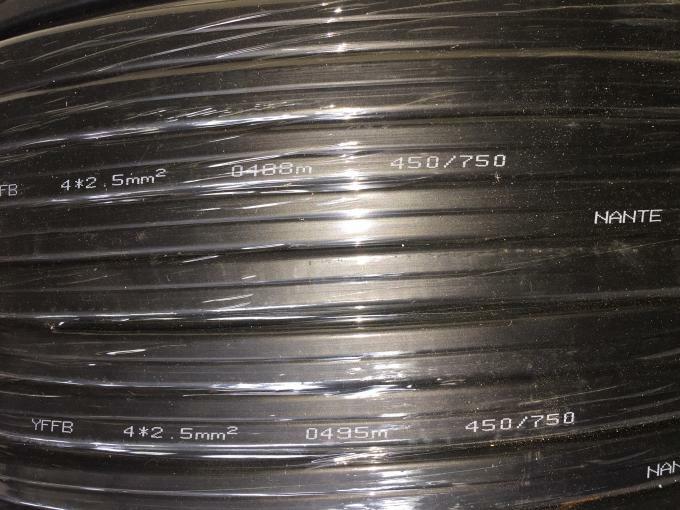 Conductor: Superfine Soft Bare Copper which purity can reach 99.999%. 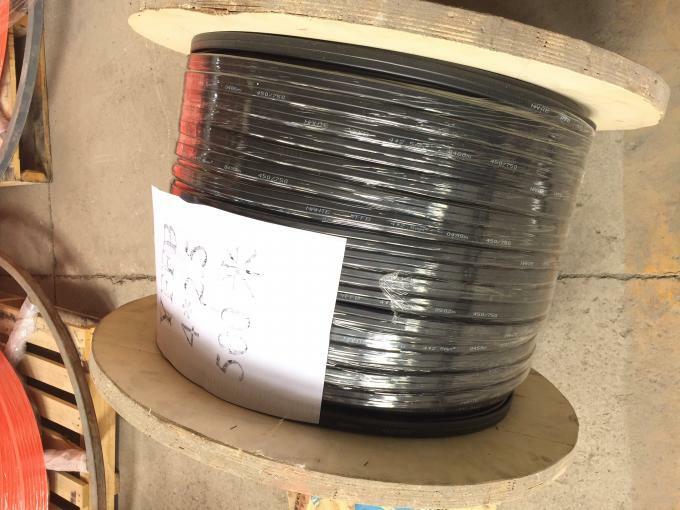 Insulation: Special Polychloreprene( Butadiene-Acrylonitrile Rubber) which can remains flexible at -15℃, Oil and flame resistance and self-extinguishing.